In this episode, Ali and Emma discuss Tess Pearson’s ‘Traces’ performed by actor Eleni Schumacher. So, are you an outdoor or an indoor toenail cutter? Let us know, here on the Coffee Pod|cast Facebook page. TESS PEARSON is a Sydney-based writer of poetry and prose. In 2014 Tess was awarded a Varuna Residential Fellowship and in 2018 she won The Newcastle Writers Festival/joanne burns MicroLit Award. 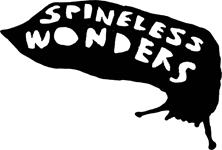 Tess has been published in Spineless Wonders’ anthologies Out of Place (2015), Landmarks (2017) and Time (2018). Her work has been performed in Sydney numerous times at Little Fictions events. ‘Traces’ was published in Time An anthology of microlit, edited by Cassandra Atherton.